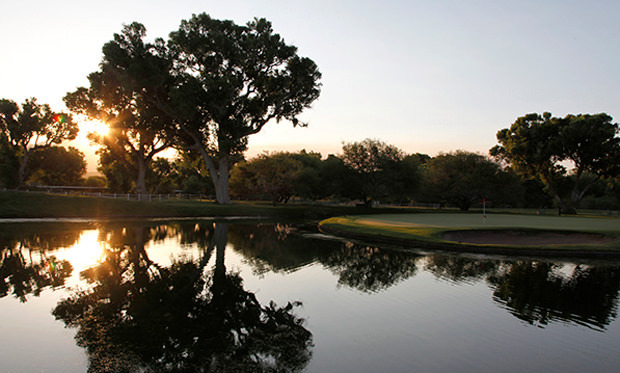 The Four Diamond-rated Tubac Golf Resort & Spa heads a trio of classic Arizona resort properties—each dripping with history, intimacy and irresistible charm. Tubac, Paradise Valley and Cave Creek: three Arizona towns separated by about 200 years of settlement and nearly as many miles. The first is rustic and artsy; the second affluent; the third a funky cowboy town. 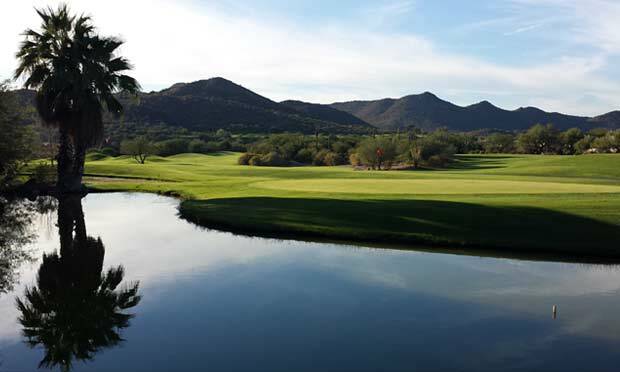 Each features a timeless resort property—the hacienda-like Tubac Golf Resort and Spa, the boutique Hermosa Inn, and the saguaro-rich Rancho Mañana Golf Resort—of a piece with its surroundings. A shared reverence for history also links these resorts, as does a charismatic intimacy and serenity you won’t find at sprawling multicourse golf retreats. They also happen to share a common owner in a partnership led by Coloradan Ron Allred and his son Mike, the president and CFO of Allred Investments. Ron, who decades ago transformed Telluride from a failing mining town into a luxury ski destination and Avon from a ranching area into a resort community, bought Rancho Mañana in 1994, Tubac in 2002 and Hermosa in 2015. The partnership has invested millions in 21st-century upgrades while preserving and enhancing the historic ambience that makes these resorts so appealing. 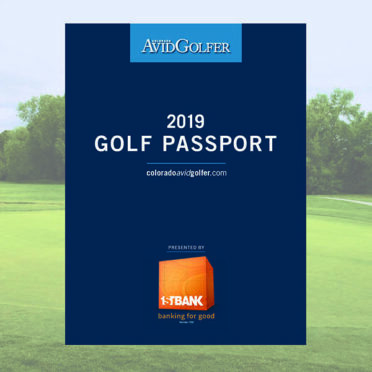 The results of their efforts are well worth the investment for golfers looking for something different from their annual Arizona sojourn. 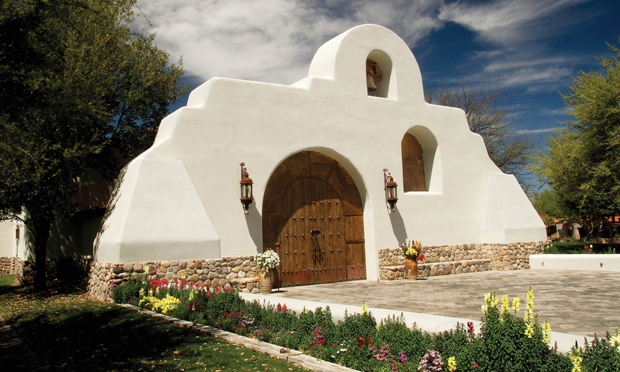 Situated 40 miles from Tucson and 25 from the Mexican border, Tubac occupies 500 acres of the Otero Ranch (established 1789), once the largest of its kind west of the Mississippi River. 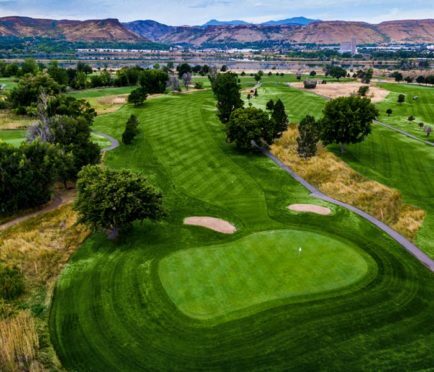 Twenty-seven holes of lush, tree-lined golf (the Anza, Otero and Rancho nines) designed by Red Lawrence and Ken Kavanaugh now inhabit a sizable portion of land that straddles the Santa Cruz River and looks out on the Santa Rita Mountains. Cattle still graze behind the island green on the Anza’s 140-yard par-3 ninth, where the bovines comprise a far less intimidating gallery than the spectators sitting behind the tee at the Stables Patio Bar. 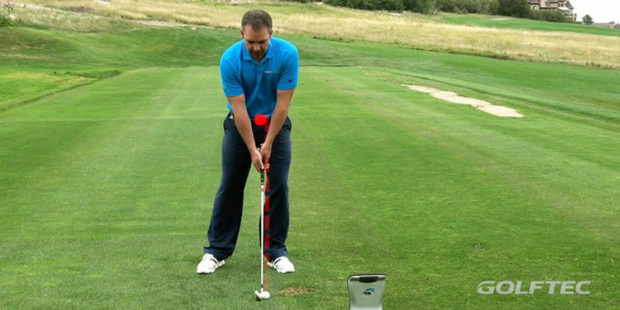 “You see people all the time cheering great shots to the flag and perhaps less than cheering shots that find the surrounding water.” says Tubac’s Head Golf Professional Kristie Fowler. 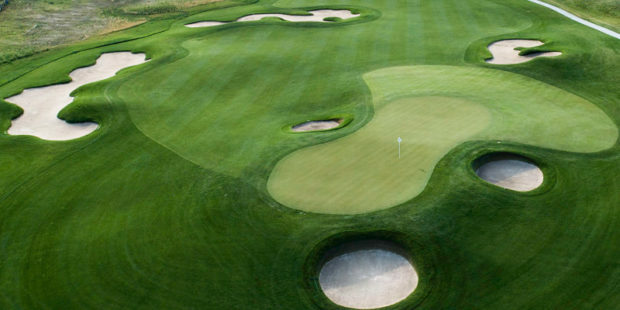 Also unique is the course’s role in the movie Tin Cup. On the Rancho nine’s 568-yard par-5 fourth hole Roy McAvoy (Kevin Costner), caddying for David Simms (Don Johnson), gets home in two by carrying the pond in front of the green with a 3-wood while Johnson lays up with a 7-iron—the same club McAvoy uses in the bet with Simms near Tubac’s mission-style entry arch and in the scene where he and his caddie (Cheech Marin) break all but that club on Rancho’s third hole. 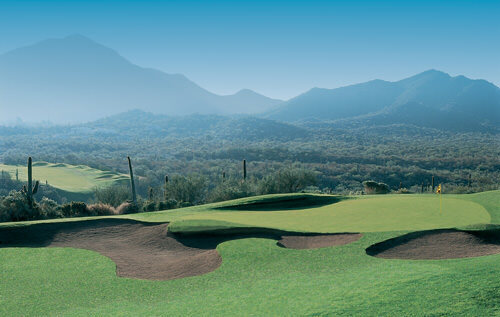 Tubac changes its course rotation daily, so guests can play all 27 holes during a two-day stay. Few visitors, however, are so quick to depart. The 52 Hacienda King and 16 Casita suites cosset guests with rich leather furnishings, one-of-a-kind appointments, fireplaces, private patios and walk-out access to all amenities, including the golf course, world-class Aveda spa and salon, mission-style chapel (a stellar wedding site), fitness center, refurbished resort pool, spanking new lap pool and the silo-flanked Otero Barn—home of Pancho’s Resource and Design, a home décor candy store colorfully brimming with one-of-a-kind Southwestern furniture, lighting fixtures, mirrors and other objects. Some of those objects appoint the suites, the rooms of the Otero House, the original home of the ranching family (available for lodging), and the 29 magnificently upgraded Posada Guest Rooms that—together with increased Wi-Fi bandwidth and numerous other enhancements—helped elevate the resort to AAA Four Diamond Status in March, according to General Manager Linda Cormier. 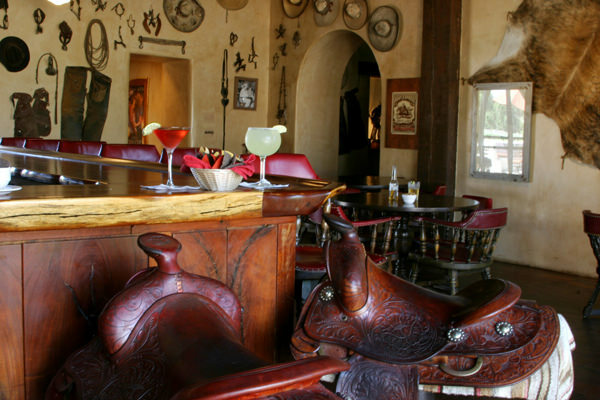 Tubac’s Stables Ranch Grille and Patios also contribute to the resort’s high standing. Its authentic rustic ambiance and views of the “island green” and the Santa Ritas pair perfectly with its impeccable seasonal cuisine and extensive wine and cocktail list. The bar scene is second to none. And for a quick burrito before golf or between nines, sit at La Cantina’s shaded tables right by the pro shop. From the resort, it’s a mile by bike or on foot along the Anza Trail into the quaint, no-stoplight town of Tubac, a one-square mile village where artists and shopowners often leave works overnight on the tree-lined streets without worry. World-class galleries overflow with paintings, sculptures, ceramics and photography. Fountains tuck into hidden courtyards and shops peddle local crafts and jewelry. Make sure to wash down the moles at Elvira’s or the black bean burger at Shelby’s Bistro with a margarita or cerveza fría. The Hermosa Inn wants for nothing—except an onsite golf course. But with the Arizona Biltmore, Camelback, Mountain Shadows and McCormick Ranch all within a 10-minute drive, it makes little difference. Besides, the Paradise Valley property boasts only king-sized beds. No double-doubles means it’s more suited to a couples’ golf trip than 36 holes a day with the fellas. But what the boutique hotel lacks in fairways, it more than makes up for in colorful history and impeccable accommodations that have not only earned it AAA Four-Diamond Award but also placed it among the Top 10 Hotels in the U.S. and the No. 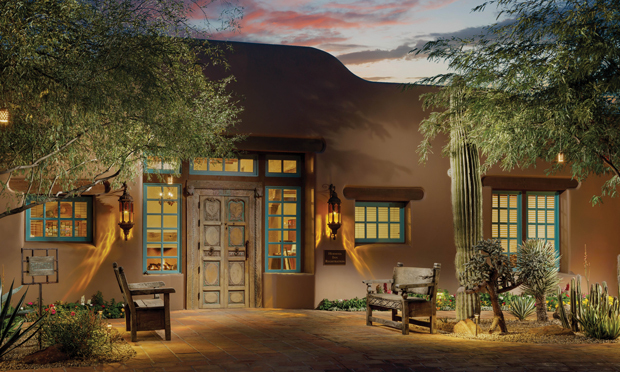 1 Hotel in the Southwest among Condé Nast Traveler readers. Originally built in 1936 by swashbuckling cowboy artist Alonzo “Lon” Megargee as his home and studio, The Hermosa Inn began welcoming paying guests in 1941 after the painter lost the property either in a card game or one of his estimated seven divorces. Legend has it some friends showed up not knowing the house no longer belonged to him, which inspired the new owner to start charging people to stay there. Today’s guests still feel like they’re staying at a friend’s home (the original name of Casa Hermosa means “beautiful house”) in a residential neighborhood. They arrive an adobe building nestled in lush flower gardens and arrive through huge, hand-carved wood doors into a renovated lobby festooned with original Megargee paintings and scented with the aroma of warm cookies. 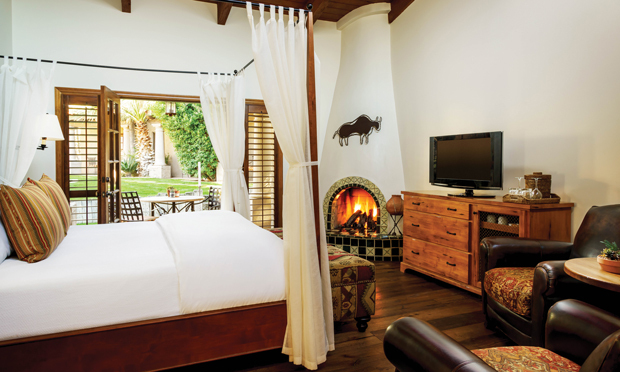 The garden paths lead to 43 hacienda-style guestrooms and casitas—10 of which were recently added, while 12 existing rancho casitas underwent major refurbishment as part of a $5.5 million renovation. 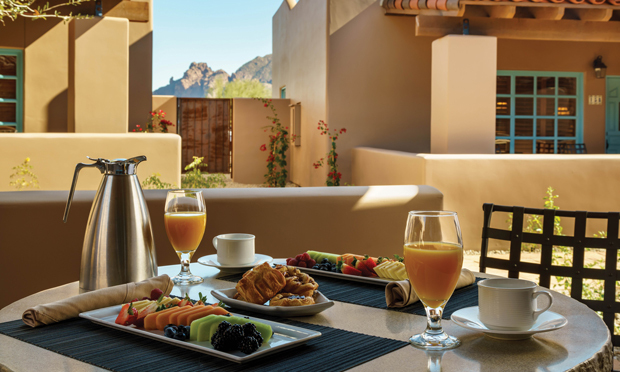 The casitas, which deliver breathtaking vistas of the lush desert and Camelback Mountain, come in four sizes—the Grande (750 sq. ft.), Deluxe (600-700 sq. ft.), Garden (400 sq. ft.) and Rancho (350 sq. ft.). All are individually decorated in warm Southwestern colors, materials and style. Most include fireplaces, secluded patios, vaulted ceilings and the latest in modern-day conveniences and residential comforts, including deep soaking tubs, beehive fireplaces and private patios. 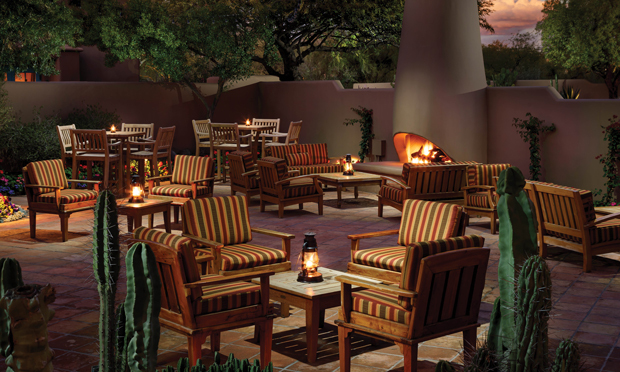 After a day in one of the poolside casitas or a bike ride along the Arizona Canal Trail, head to LON’s at The Hermosa Inn, long one of Paradise Valley’s top dining experiences. The readers of Food & Wine voted it Arizona’s Most Romantic Restaurant, and OpenTable.com diners ranked it among the 100 Best Al Fresco Restaurants in America for 2018. As a ninth-generation Arizonan, Executive Chef Jeremy Pacheco’s farm-to-table ingredient-inspired menu results from partnerships with local purveyors and farmers, adding gastronomic authenticity to dishes paired with the Wine Spectator Award-winning collection of 700 varietals housed in a subterranean wine cellar (also available for private dining) and three wine vaults. Lon’s Last Drop, so named in honor of the Megargee painting of a horse drinking from his cowboy’s Stetson, serves as the Hermosa’s bar and patio. A recent expansion added five outdoor fireplaces and a new all-day menu featuring small plates, sandwiches, salads, and pizzas baked in a wood-burning oven. Personalized pampering comes second nature at the Hermosa Inn. Just don’t expect tuck-in service. 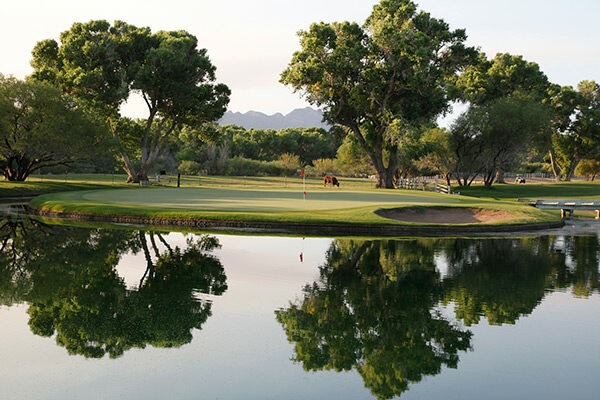 From its origins as one of Arizona’s first and most successful dude ranches, Rancho Mañana has become a first-class golf destination. Revamped by the Allred Family after its purchase in 1994, the golf shop still occupies the homestead of China and Ted Loring, the couple that started welcoming urban cowboys back in the 1940s. 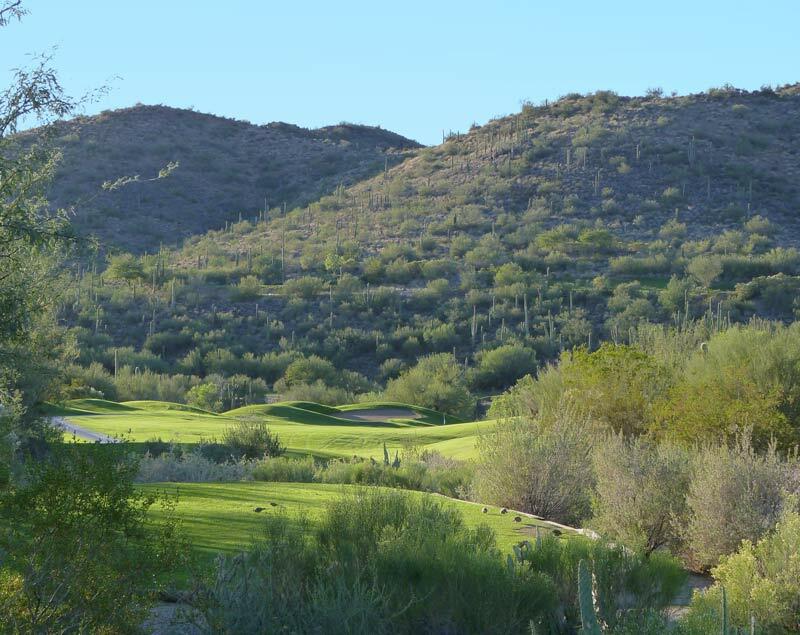 The Cave Creek property features the northernmost public-access course in the Phoenix/Scottsdale orbit, situated just south of the Spur Cross Ranch Conservation. Tips of 6,016 yards won’t scare anyone, but the par-70 course “plays like 6,400,” according to General Manager Dale Samar, who cites the presence of six tough par-3s, numerous elevated greens and a front nine that steadily climbs to higher elevations before descending again and finishing with an equally scenic back nine. Frankly, the aesthetics alone are worth the relatively modest price of admission. Rancho Mañana takes in unimpeded and often simultaneous views of Camelback Mountain, Mummy Mountain, Piestewa Peak, Black Mountain, South Mountain and the Tonto National Forest’s distinctive Elephant Butte. 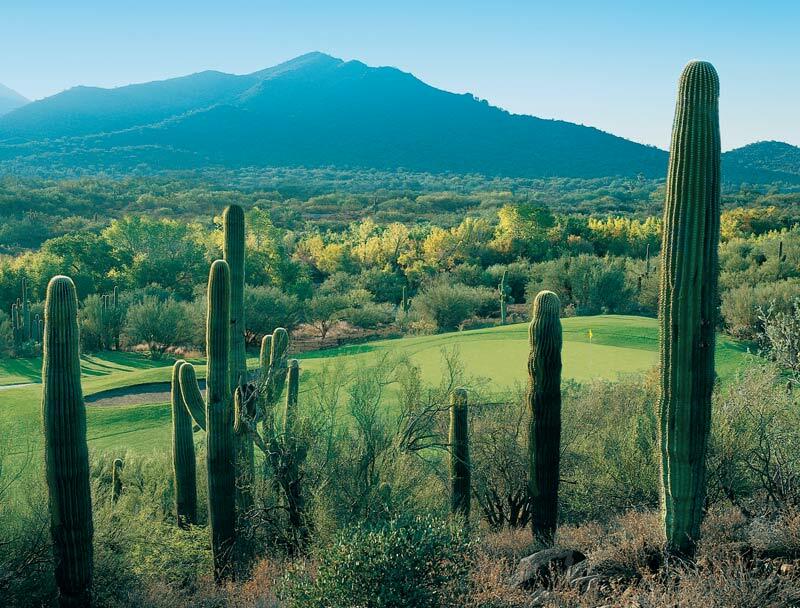 Hundreds upon hundreds of saguaros spike the surrounding hills, and bobcats, javelinas, roadrunners, mule deer and jackrabbits regularly dart across the fairways. 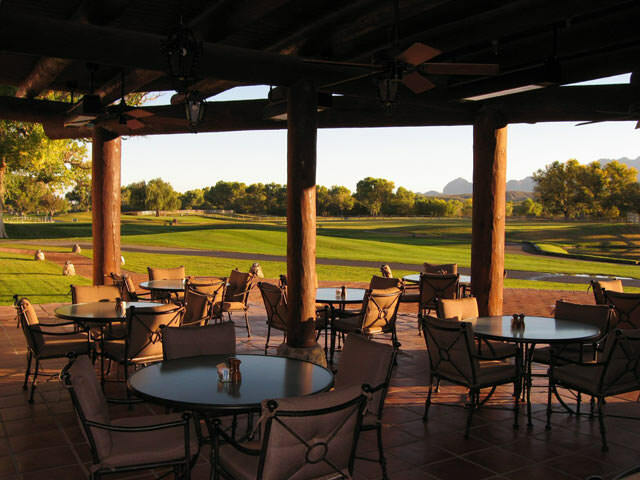 This echt Arizona experience is reinforced at the Tonto Bar & Grill, which looks out onto the par-3 11th and has been rated by OpenTable.com diners as one of the 100 Best Al Fresco Restaurants in America three years running. 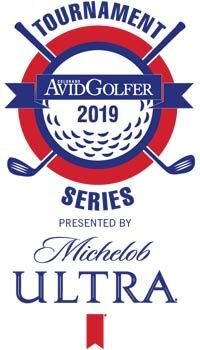 Definitely order a round of Tontoritas or Four Peaks 8th Street Ales and share the Three Sister Salsas & Guacamole and Duck Manchamanteles Enchiladas with your playing partners. Diamond Resorts runs the Rancho Mañana accommodations. The 38 casitas each feature two full master suites, two bedrooms, a gourmet kitchen, fireplace, a balcony or patio—all bedecked in traditional Western décor. Beautifully landscaped flower and rock gardens with fountains, chimineas, palms and cacti surround the expansive pool area. The resort also houses the full-service Spa at Rancho Mañana, a day spa and salon offering treatments ranging from toning wraps to Reiki to ultrasound facials to multiple massage options, including the Hot Golf Ball Massage. The spa also showcases a sublime Kiva Room for pre- and post-treatment relaxation and meditation. The resort and course sit within the former gold-mining town of Cave Creek, home to great western shops, numerous art galleries and several saloons. Multiple trails welcome riders on foot, horseback or bicycle—the most popular of which is the 4.8-mile Go John Trail. Don’t put off Mañana when you can go there today.